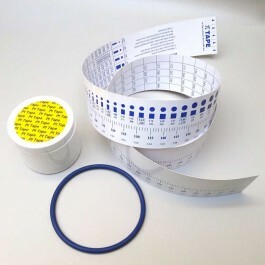 O-Ring measuring Tape to measure inside diameter of the o-ring. 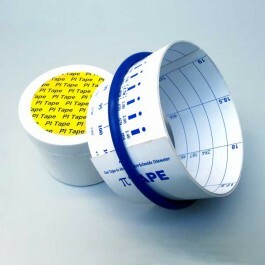 Select correct side of the rule showing cross section of o-ring to be measured and coil rule with arrows on outside of the coil. Place coiled rule inside o-ring and expand it firmly. Read size under appropriate cross section arrow. Be careful not to stretch the thin cross section o-ring excessively.